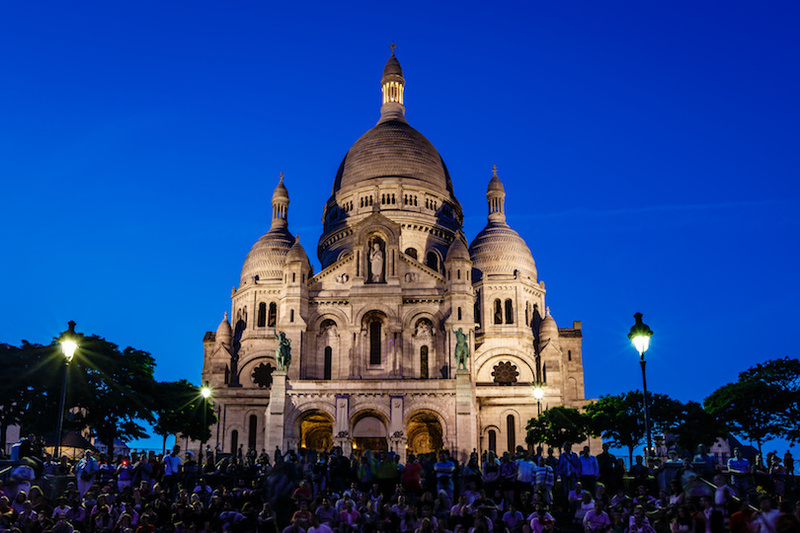 Paris, often nicknamed as the “city of lights,” is a traveler’s paradise. 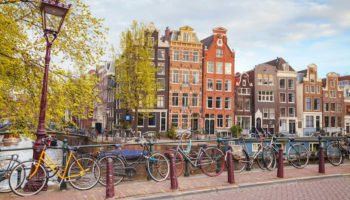 There is literally tons and tons of places to visit, corners to explore, and things to do. You could spend three weeks here and at the end of it, still be yearning for more. Unfortunately, not all of us have that amount of time and may only have a few days in the city. Irrespective of how much or how little time you have, there are places and experiences you just can’t miss. One of the most expensive cities in Europe, Paris can be different for different people. 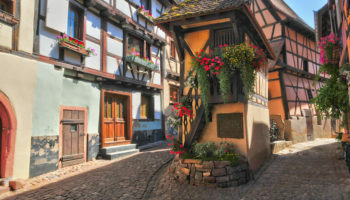 While some of you may like visiting as many significant sights as possible, others may wish to spend a little more time enjoying long lunches and sipping a lot of wine. 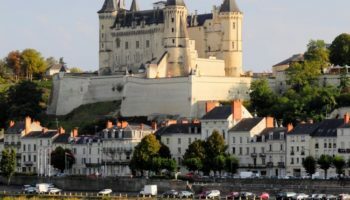 The city has plenty of public transportation options such as the metro, the RER, the tramways, and even renting a car or a bike, but the easiest (and perhaps most cost-effective) way to get around Paris is via the Hop-On-Hop-Off bus. 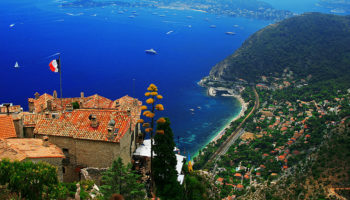 Another great alternative is to buy a combined Hop-On-Hop-Off and Seine River Cruise ticket. Last but not the least, you could get yourself a “Paris Pass” at their official website and enjoy entry to over 60 famous landmarks and attractions in Paris for free, skip-the-line benefit at popular sights, a free one-day Hop-On-Hop-Off Tour, and even unlimited travel across central Paris. As your first day in the city, you would feel the need to see a lot and do a lot to make the best out of it, but the reality is that you only have three days so you should make the most out of every place you visit and yet, keep enough time to actually sit with a glass of wine, relax, and enjoy the sounds of all things French that you hear in and around the capital. There isn’t a better start to your Paris tour than spending the morning at one of the most striking gothic cathedrals in the world. 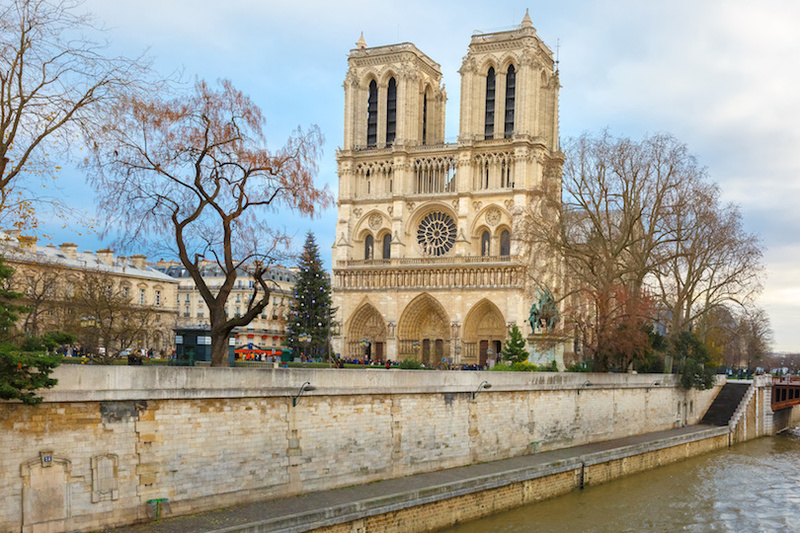 Immortalized by Victor Hugo’s The Hunchback of Notre Dame, this 14th century edifice is a sight to behold. Unfortunately, there aren’t any skip-the-line tickets available for Notre-Dame Cathedral but as long as you arrive here early, it should be fine. There is no fee to enter the Cathedral, but you need admission tickets for the crypt and the tower. And, climbing the tower is a must if you want to enjoy splendid views of the city. 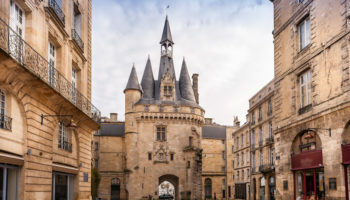 There are plenty of eateries and cafes surrounding the cathedral, so any restaurant here would be a good place to sit down for a nice lunch and a coffee before you carry on with your Paris city tour. After replenishing yourself, it’s time to visit the Sainte Chapelle. Often underrated, this gothic-style chapel served as the King’s residence until the 14th century and still houses some of the most magnificent stained-glass windows you will ever come across. The chapel is just a 10-minutes’ walk from the cathedral and is best enjoyed on a clear sunny day. Buy a skip-the-line ticket to avoid the queue. 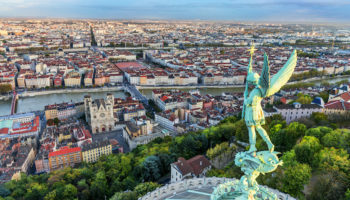 Next, take the hop-on-hop-off bus and head to none other than the tourist hub of Champs Elysée – a 2 kilometer stretch of road dotted with shopping avenues, branded apparel stores, perfume parlors, and a lot more. This is a good place if you wanted to fulfil those “shopping-in-Paris” cravings of yours. 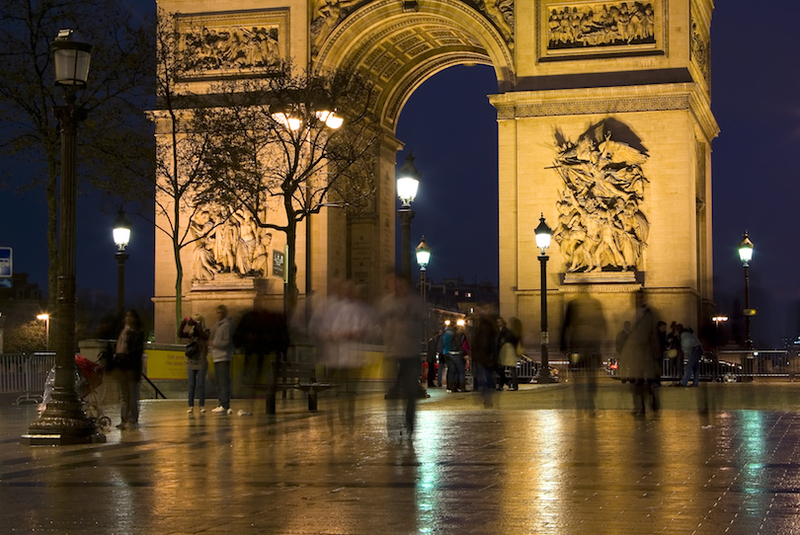 Paris is a wonderland for travelers and Arc de Triomphe is one of the most noteworthy spots in the city. Walking straight on Champs Elysée, you will find yourself at the enormous roundabout that surrounds the Arc de Triomphe. Take some photos, enjoy some people watching, and then call it a day. You can pre-purchase your tickets to here. 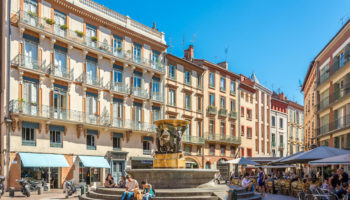 Go back to a restaurant, cafe or pub that you may have found on your stroll through Champs Elysée and settle in with a big serving of Cassoulet and a glass of fine champagne. One day gone, one day left – you are in the middle of your 3-day tour. Prepare yourself as today will involve plenty of walking around the city of Paris. 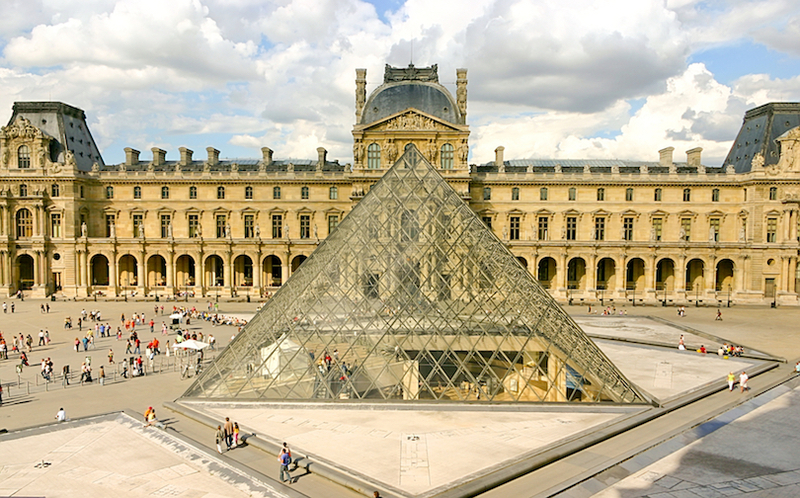 The Louvre as a whole can take up all of your 3 days in the city so you have to be picky with which Louvre attractions you want to see. You could either explore the gardens, the pyramids, and other structures from outside or you could go inside the museum and be lost in fascination forever. 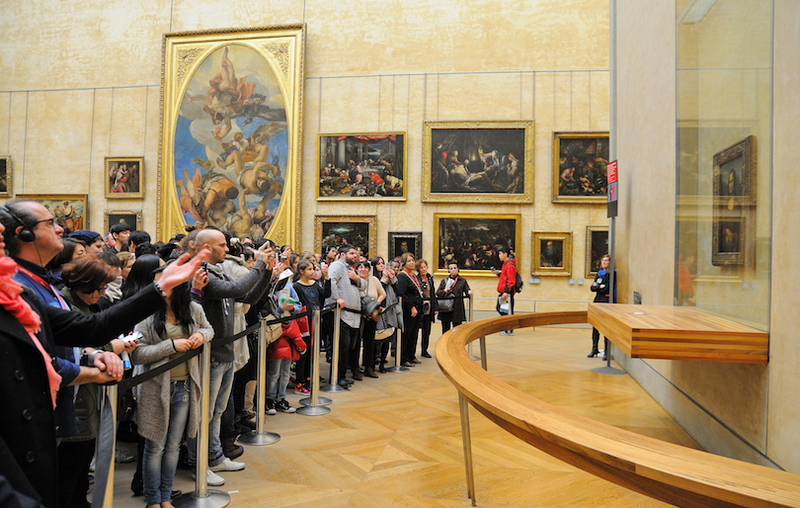 A smart thing to do will be to book a tour of the Louvre with an experienced guide so they can help you with seeing and exploring the best highlights that shouldn’t be missed. 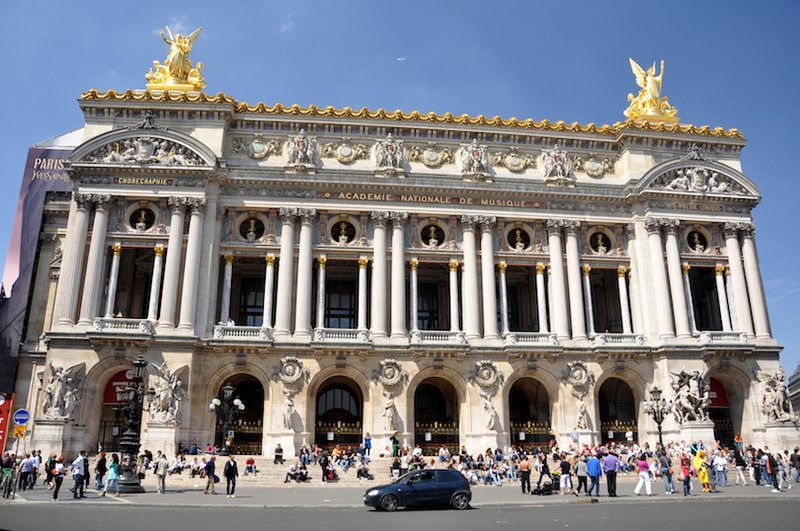 After spending the morning at the Louvre, take a walk towards the next popular attraction – the Palais Garnier Opera. 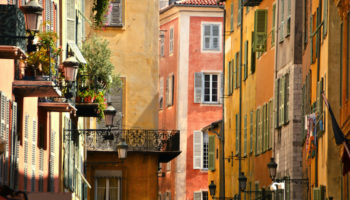 But, before you head over to the opera, stop to get some Parisian lunch and maybe a pastry or two! A nice lunch and a pleasant 20-minutes’ stroll later, find yourself at the superlative Palais Garnier Opera that looks like a mini castle embellished with picturesque hallways and decorations. You could either buy your tickets to the Opera in advance and give yourself a self-tour or if you have the time and want to learn more, book a guided tour for 90 minutes and explore more. 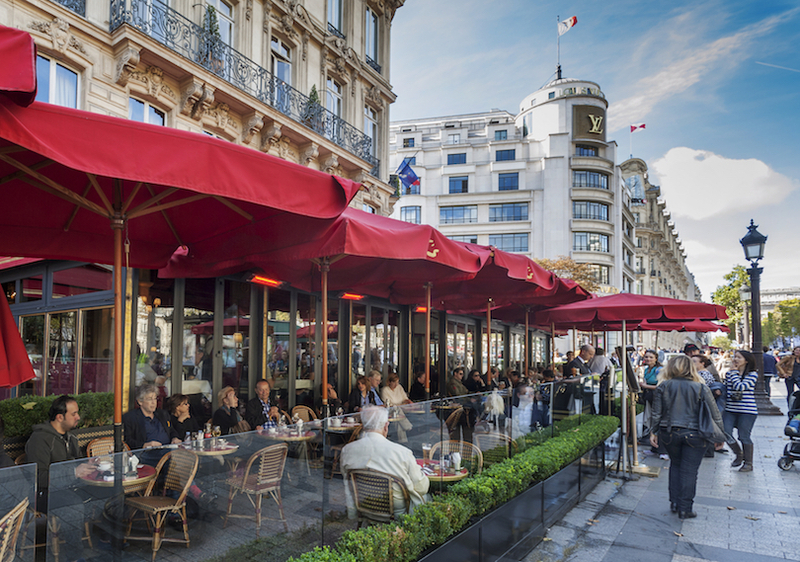 The Opera is just 10 minutes’ walking from Boulevard Haussmann, one of the biggest shopping districts in the city. It is easy to lose track of time here so don’t get too carried away! If you didn’t exhaust yourself and your time shopping at Boulevard Haussmann, a great way to end your second day in the city will be to book yourself a performance with dinner and/or champagne at the world-famous Cabaret, Moulin Rouge. 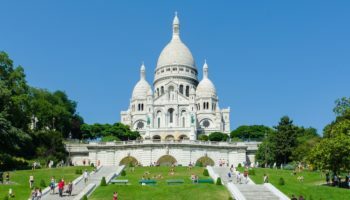 Alternatively, you can take the hop-on-hop-off service to Montmartre Sacré-Coeur and enjoy a funicular ride to the top of Montmartre and admire the charming views of the Basilica and the city before you walk back down Rue Tholozé to Rue Lepic and arrive at Moulin Rouge. 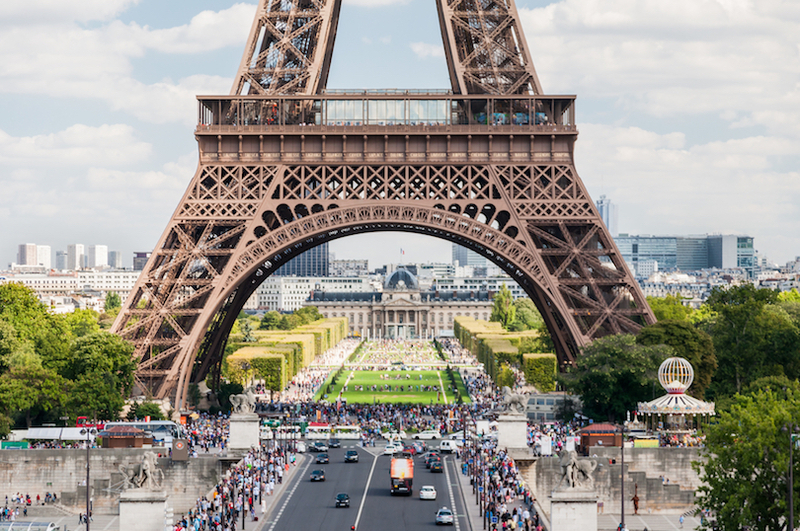 No matter how much you dislike it, you have come to the last day of your Paris tour and there is no way you can leave without taking a few photos of the iconic Eiffel tower and cruising the Seine River. If you purchased a combo ticket, it should include an hour of cruising around the Seine River. 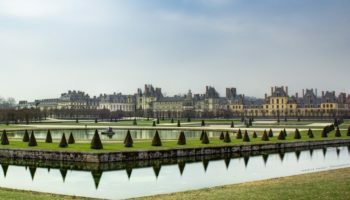 One of the most amazing experiences to cherish, a ride along the Seine River lets you appreciate several gorgeous buildings along its banks. 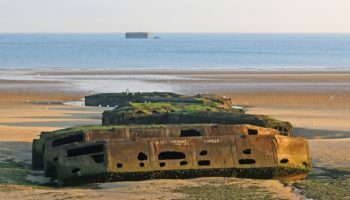 It’s better to come for the tour early morning – lesser crowds and better photo opportunities. If you didn’t buy a combo ticket, you could still pre-purchase an hour-long Bateaux Parisien ticket. 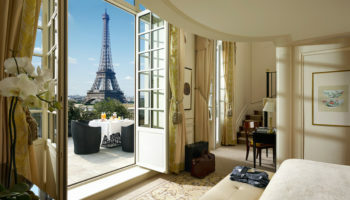 We bet you have been dreaming about this moment since you knew you were heading to Paris. So, here is your ultimate moment at one of the most iconic structures in the whole wide world. Hold your breath as now you stand face to face with the Eiffel Tower. A great idea is to purchase a summit ticket in advance, so you can skip the queue at the bottom (not the summit). This way, you will have booked yourself a specific time to visit the very top. If you have the budget, book a lunch at 58 Tour Eiffel and enjoy your meal at the top of the world. Alternately, go to Le Jules Verne for a delightful lunch and Lido Café, if you want a dose of caffeine. It’s time to snap out of that Eiffel Tower daydream and head to a bit of spooky fun. Take the hop-on-hop-off and get to the Catacombs. 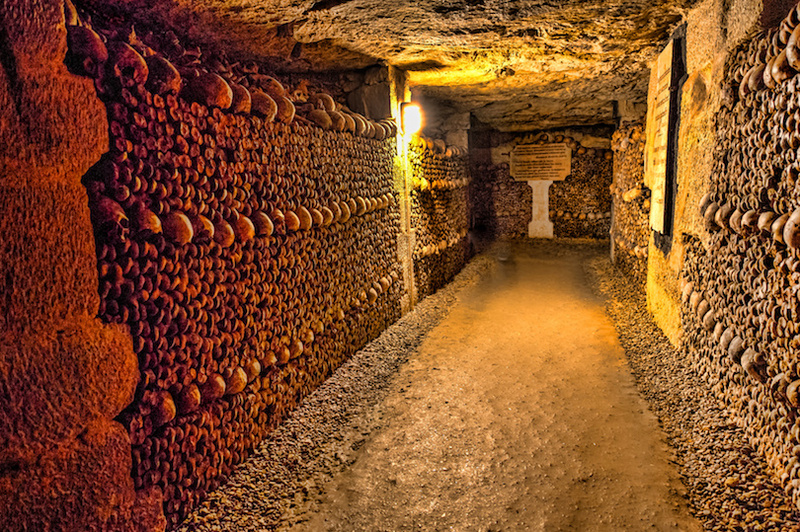 Not suggested if you are claustrophobic or uneasy around bones (lots and lots of bones), the Catacombs are the best way to explore what lies beneath Paris. You can buy a skip-the-line pass or book a guided tour for access to zones which are restricted otherwise. After experiencing the untimely Halloween-like afternoon, it’s time for some final relaxation. 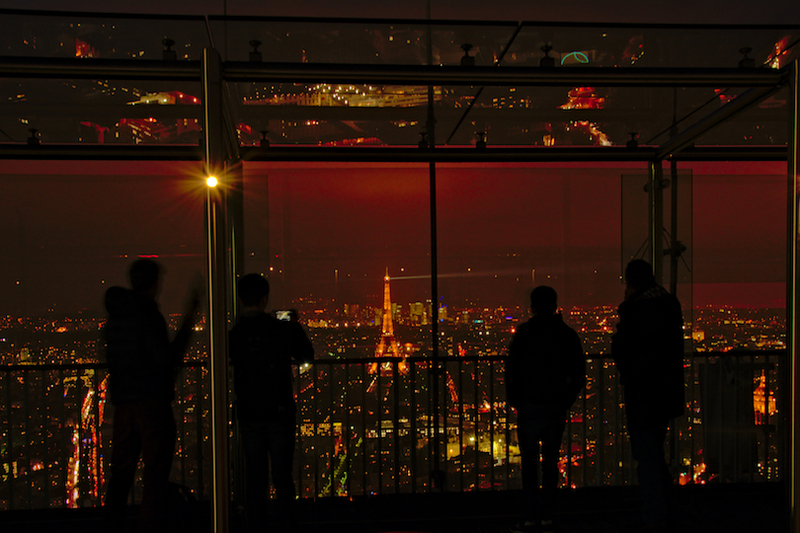 As your days in Paris come to an end, take the hop-on-hop-off one last time and get to the Montparnasse Tower. There is no better place than the summit of this tower to appreciate the wonderful city you have just spent your last three days at. Stay here to watch the sun go down and the Eiffel Tower light up. Pre-purchase your ticket to avoid standing at the ticket counter and head straight to the lift that takes you to the top. Enjoy your final Parisian dinner at one of the restaurants near the tower and sip some more champagne as you reflect over your time here. A few stores nearby can help you with any last-minute shopping or souvenir purchases that you may want to make.